Ok, be honest, you know healthy living isn’t as easy as it seems. Balancing life and health can often be overwhelming and frustrating. Most of us have jobs in and out of the home. From meeting deadlines and sales goals to schlepping the kids around from activity to activity, at times it feels like there aren’t enough hours in the day. Yes, we get to the gym, yes we make it to yoga, and occasionally we enjoy ourselves a nice run. But we have a secret. A deep, dark, shameful secret. We hate cooking! Ok, happy? We said it, it’s out in the open. We hate to cook. We aren’t proud of it, as a matter of fact we sit in wonderment of those who love it. But it brings us no joy. The worst part? Our hatred throws a big giant wrench in our healthy lifestyle plan. Our biggest issue is being hungry, and not having the energy or patience to cook. You know the feeling. It’s been a long day, you’ve forgotten to eat lunch, your commute was extra-long due to traffic, and you’re famished. The last thing you want to do is go home and begin the arduous task of preparing a meal. For convivence sake, you can quickly order dinner on Grub Hub or stop by your favorite taco spot as you get off the bus. (Our go-to are the sesame-chili shrimp tacos from Del Seoul, but that’s another post entirely.) Before you know it, your healthy choice has been smashed by hunger. Ok, so maybe that’s not your EXACT predicament, but it was becoming routine for us and had to stop. We were spending all this time in the gym and yet we were failing miserably at fueling our body. Until, Snap Kitchen made its debut in the Windy City. Snap Kitchen is a Godsend. Ok, ok, so clearly that’s not written on their doors or marketing collateral, but for us Snap has been a huge blessing. 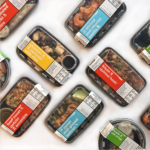 Snap Kitchen sells portion-controlled, healthy grab-and-go meals, designed by chefs and prepared by hand in one of the company’s corporate kitchens. The food isn’t just low in calories, it has no artificial preservatives, flavors, or colors. 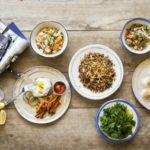 Snap is dedicated to using only local produce and in-season ingredients and they support the community and planet through daily food donations and sustainably sourced materials. Best part? 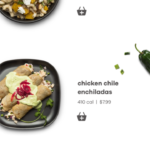 They have an easy to use app for ordering, making them pretty much awesome. What’s great about Snap is the array of options they offer. Breakfast, lunch, dinner and snacks are all covered. 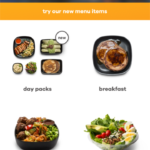 You can go a la carte or choose from eleven different day packs. 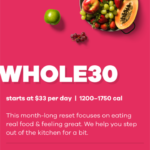 (Yes, ladies there’s even a WHOLE30 day pack just for you.) Honestly, the sky’s the limit. Don’t feel limited to what is offered on the app or in the stores. Get creative. 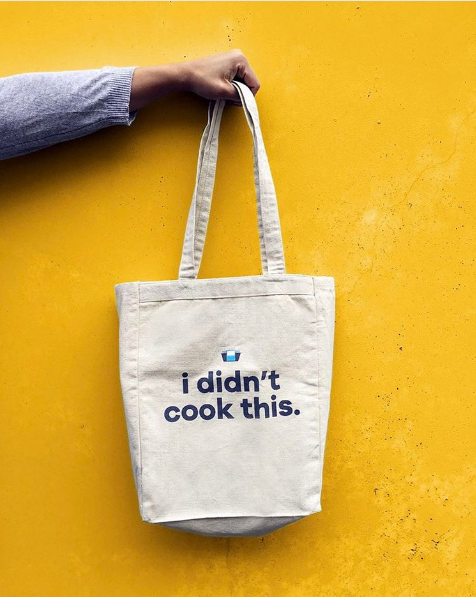 Remember when we passionately stated that we hate cooking? Well, Snap Kitchen has pushed us to open out hearts. Realistically we can’t afford to make each and every meal a Snap meal. So, we’ve decided to use it as a supplement. 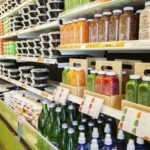 Don’t quit grocery shopping, embrace it! Pair mindful snacks and sides with the items that Snap has to offer. For example, we’re obsessed with the grilled steak side option, ordering at least three of these bad boys weekly. Our favorite thing to do is create a health minded quesadilla. Just warm the steak in a saucepan with your favorite salsa, prepare some black beans, add a smidge of low-fat pepper jack cheese and spinach to a wheat tortilla, and voilà! If we’re in a pinch or stuck at the office we add the steak to our Minute Ready to Serve Brown Rice Bowl and pair with a simple green salad. Snap Kitchen has changed the way we look at food, and we couldn’t be happier. So be creative, learn to substitute and feel good about the decisions you’re making… we know we are. Try and warm up the meals in an oven or on a stovetop rather than in a microwave, it makes the meals that much better. Add seasoning! Depending on your diet we suggest adding salt, lemon and other spice, to taste. There’s nothing wrong with jazzing up your meals, as long as you’re mindful.